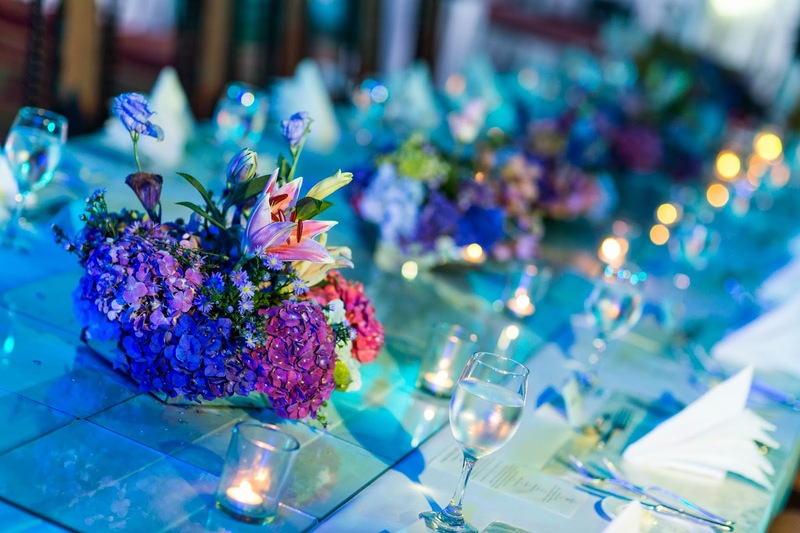 Come night-time, it was time for the wedding dinner. It was touching and I was in awe when we arrived at the reception venue. 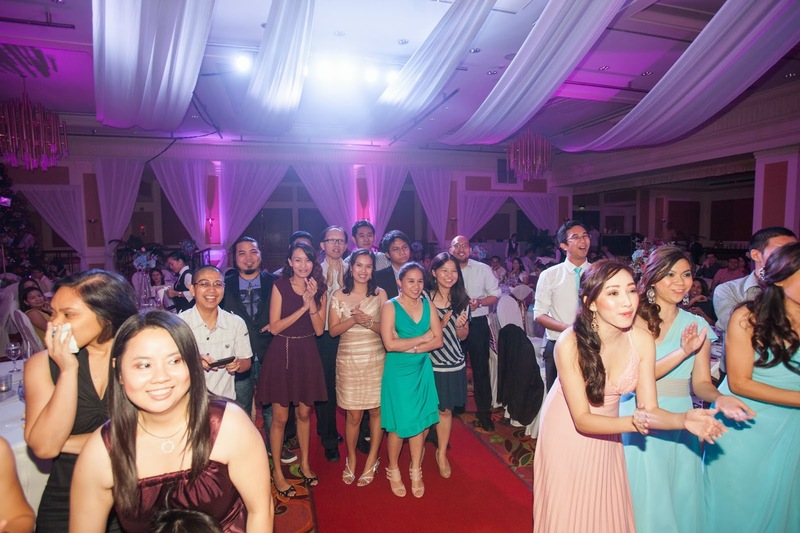 Everyone - our families and friends were there and it was just so overwhelming to see them on our most important day. I was in awe when I saw the reception setup too. It was something beyond my imagination/wildest dreams. Kudos to the collaboration of our suppliers. What is a wedding without cake slicing and wine toasting? Such inspiring messages from Joseph, the bestman (also J's brother) and from my maids of honor, Dee and Felice. J and I wanted a simple program to be considerate to our guests who might have to go somewhere else afterwards as it was Christmas season. Plus, we didn't want a circus of a program. 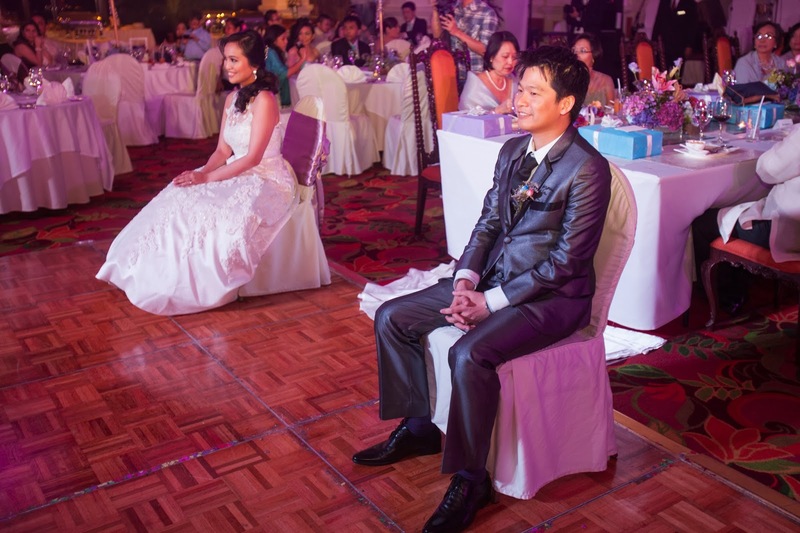 But of course, there had to be some sort of games and presentations as with any other wedding, but not too much. :) Because J and I aren't fond of the SINGLES game (I would literally cringe and hide at that part during weddings), we gladly took it out and replaced it with alternative games. 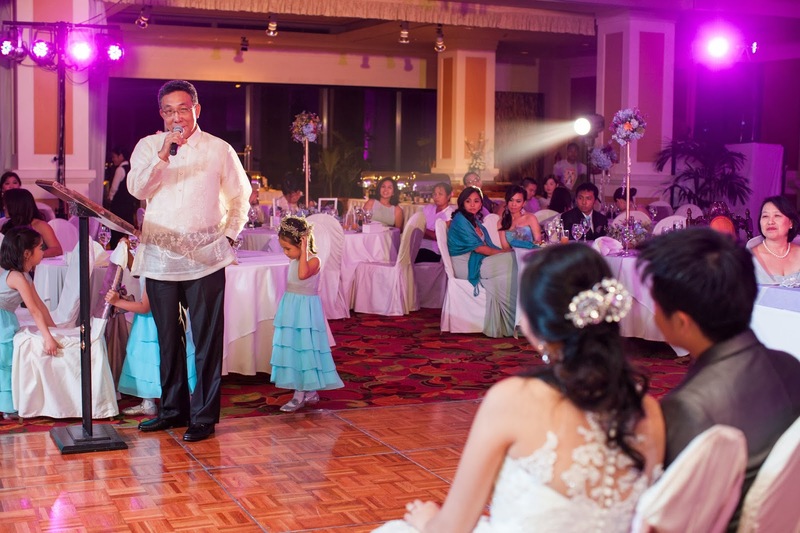 When it was the time for Papa's speech, everything started to get emotional. Maybe because there's just this special bond between a father and a daughter. But then, "a daughter will always be a daughter even after she marries". 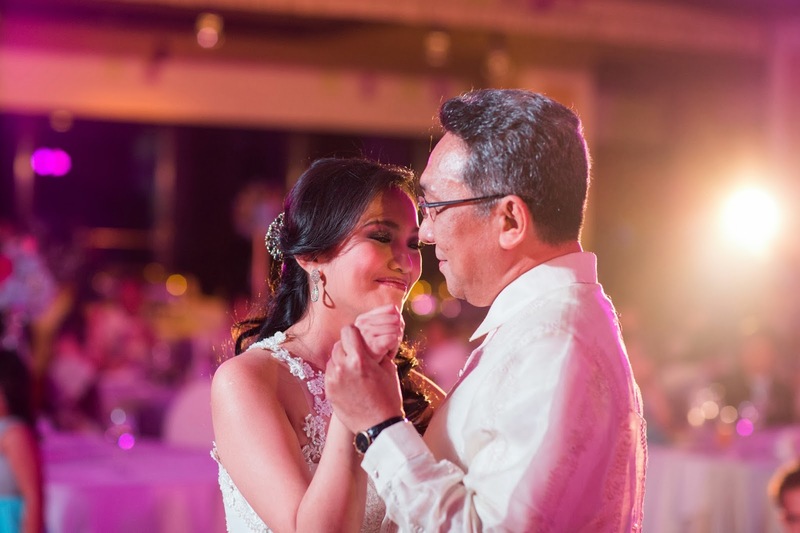 It was a touching dance with Papa as well and the music we chose ("I loved her first" by Heartland) with matching slideshow of the lyrics and photos of Papa and me through the years captures so much of the bittersweet feeling of loving and moving on. 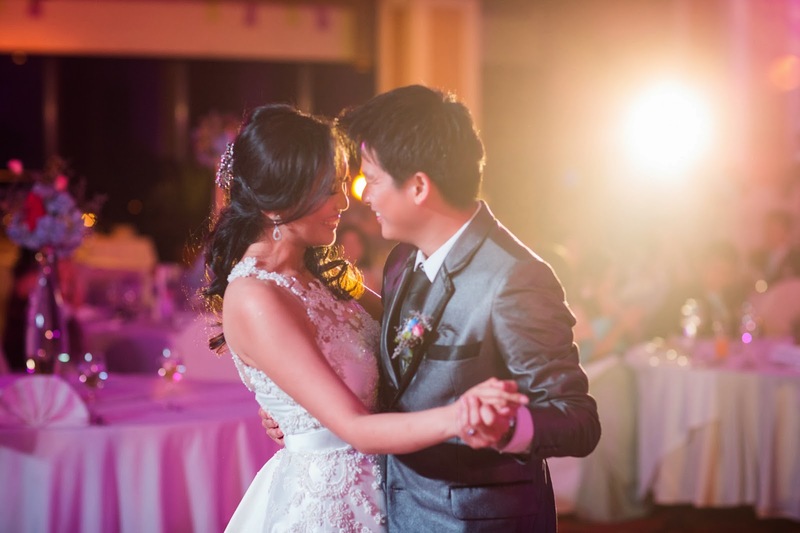 I heard there was a bit of crying and emotional moment with some of the guests too, while Papa and I savored the moment in each other's arms. Here I was, his little princess; and here he was, my first hero. 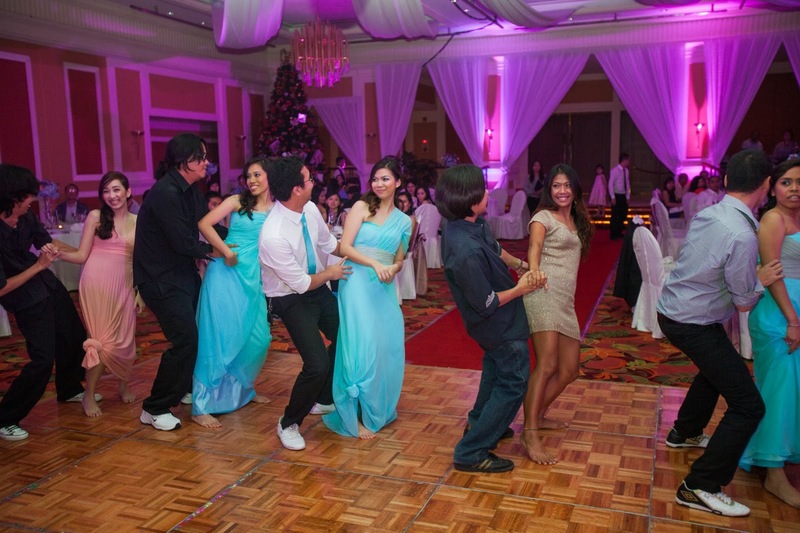 Papa then literally handed the reins (and my hands to J) and we danced to our bridal march. 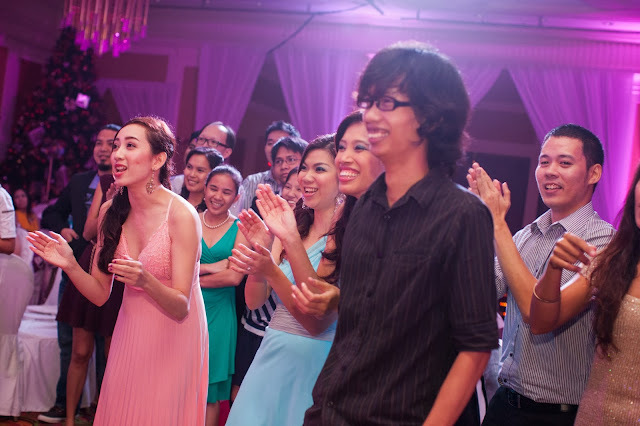 Truth be told, it was our coordinator's turn to surprise us with the music we had to dance to. 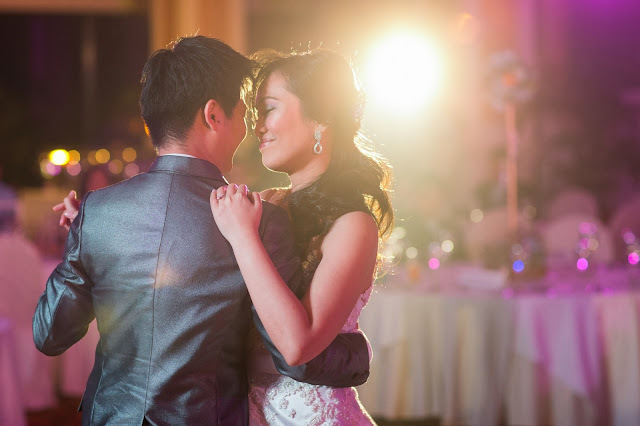 She picked the perfect song as it echoed and stirred the feeling of walking back the aisle again. 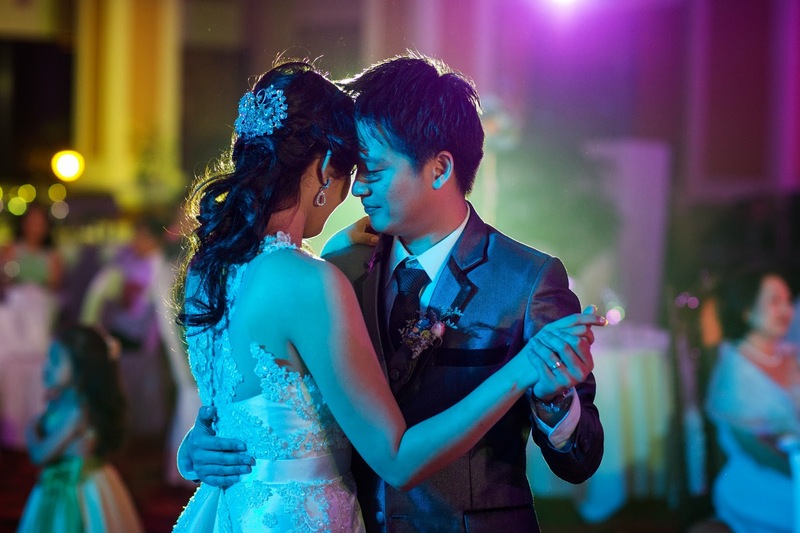 It was good that we had a bit of "dancing" practice during the prenup video so it was a bit polished/spontaneous in a way, otherwise I would've stepped into J and messed everything up with my two left feet and all. I guess it also helped that J is a good dancer. We just had fun in the dance floor, for a moment, not mindful of the rest of the world. It was, after all, our night. It was definitely a night of tears, smiles and laughter. The perfect cap to the perfect day that was. We are indeed so blessed and grateful to our families and friends who came to celebrate with us, and to those who gave prayers and well wishes, it really meant so much. Here's the last installment of my supplier reviews as well. Overall, wedding planning is one tedious task; but I sure had fun collaborating with my suppliers, scheming and making design pegs and ideas. I am indeed grateful to have worked with such great and professional and talented individuals who made this all happen. I enjoyed working with the staff of Marco Polo. From the start, when we were still inquiring up until our mock setups, food tasting and until the event itself, they have been very timely, precise and organized. They certainly didn't disappoint us and our high expectations from them and their service. The Werners regularly play in Waterfront Hotel. 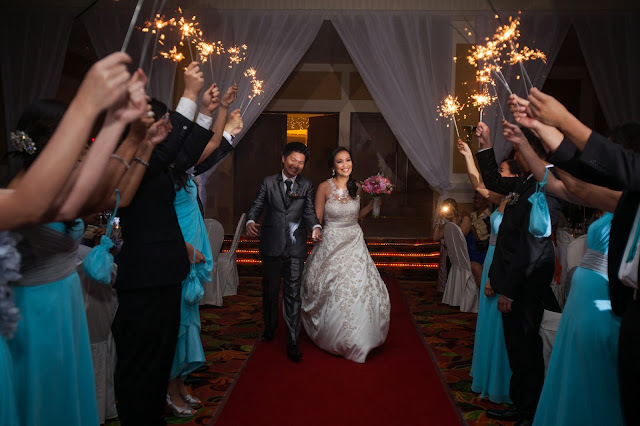 I was so glad we booked them because they were so impressive and good! 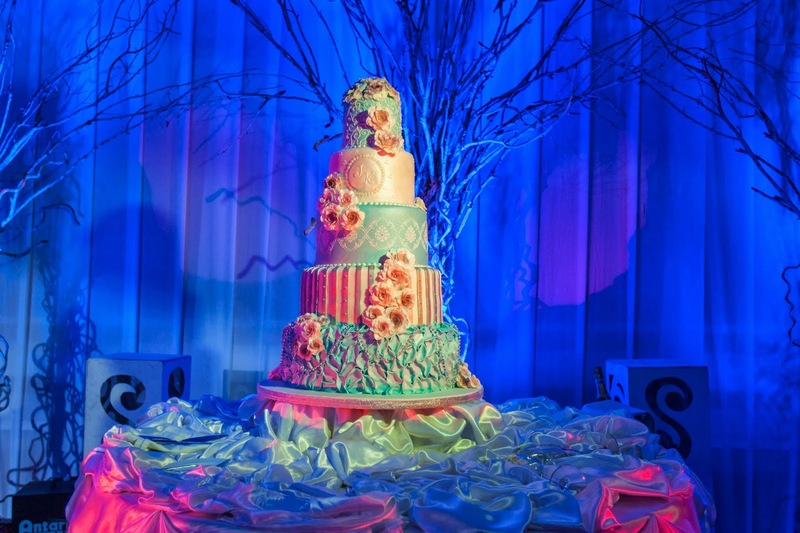 We haven't even noticed/realized at first that the music played during the Father-Daughter dance was live, it seemed to have been just an MP3 playing. Yes, they were that good! We were supposed to book another supplier but on the last minute, because of the storm, the mixer was stuck in Bohol. Luckily, disaster averted! I didn't even know until after the wedding that our ever proactive coordinator had booked Noise Garage on the last minute. 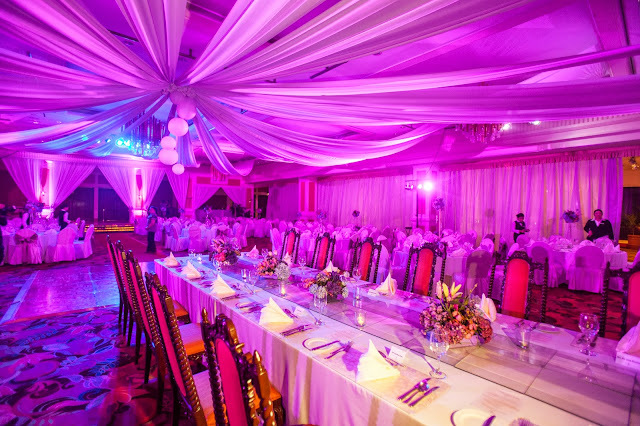 Usually Noise Garage does productions like concerts and events and we were very pleased with how they worked on our wedding reception venue. 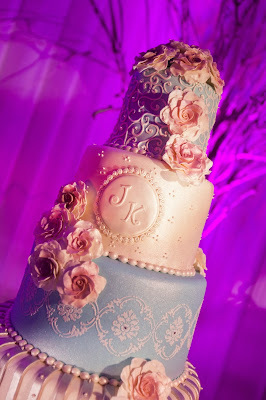 Being the fickle-minded bride that I was, I didn't want a single design on my cake but I had a peg for each layer. Luckily, Jerese of Pastries by Jessica (who is also J's sister's friend), got me and my peg. She was so easy to work with and collaborate and she understands perfectly what I wanted. It was easy to get the point across and work with her. It didn't hurt that the cake tasted so yummy too - we had it in chocolate and white fruitcake. White fruitcake for cake slicing because I didn't want bits of cake stuck in my teeth. If it were chocolate, it would've been very obvious. Haha, yes, I am that OC and "thinking" that advance. :D I was sooo happy to finally see the cake up close and for real. IT was the realization of what I had envisioned in my mind. As one friend puts it, "that is definitely so Tee". And it sure was. Jerese, by the way, makes awesome desserts too. We love her fruit tarts and chantilly cake. Definitely our go-to-person for oh-so-good desserts. Natasha Cang, or Achi Natasha, is an events host and singer. 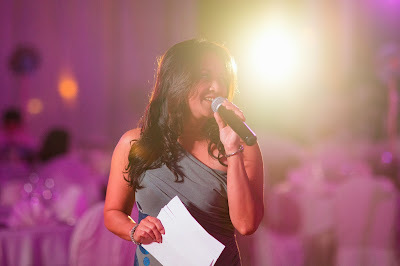 Though some would prefer a male host, we didn't mind having a female host. We appreciated how she handled the crowd and made it a bit of formal and at the same time personal with her witty quips and adlibs. We were genuinely surprised by her "surprise" song number dedicated to us as well. 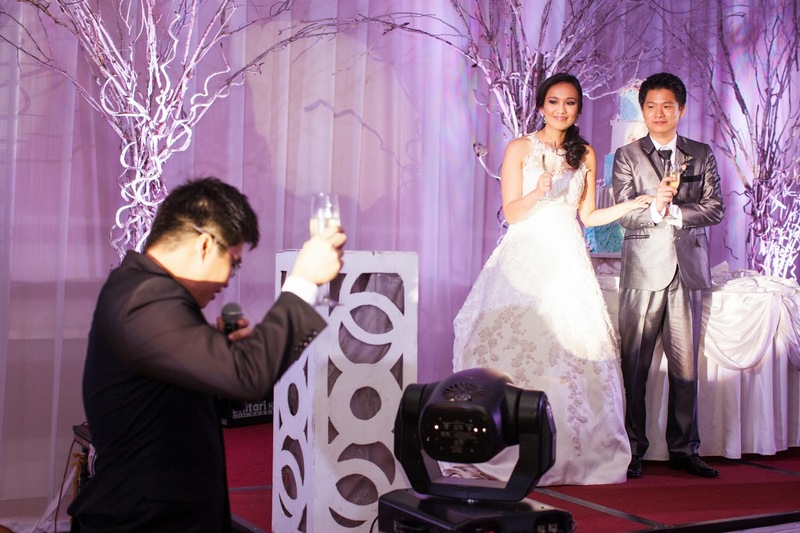 Up until this point, I haven't said anything about our coordinator, Ms. Shirley Grace Ong, of Wedding Prelude. Achi Shai, as we fondly call her is definitely a heaven-sent coordinator. I have heard of horror stories about coordinators from hell and we decided to make sure we got someone reputable and known for her work. After all, coordinators should relieve from stress not cause it. We've been hearing comments on how orderly everything is and it's because of her magic (and her team's too)! Collaborating with her had been very easy and she had everything covered down to the last details, but still made everything our very own. She's certainly a heaven-sent go-to person for events and weddings, no contest! 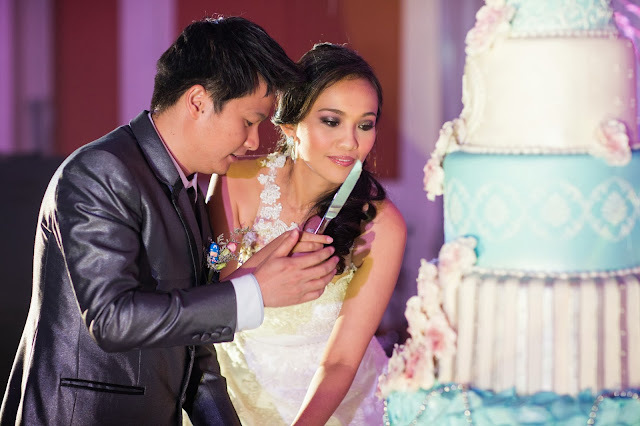 Very organized, detail-oriented, we highly recommend her and her services and we're happy that our wedding had been as stress/fuss-free with her taking the reins. That's all for the wedding "series". Here's to US and eternity, J!